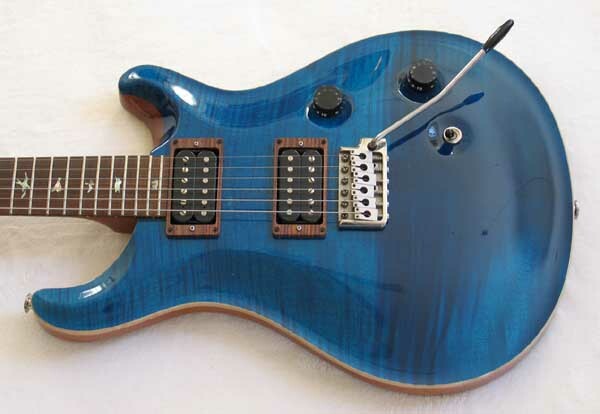 Up for consideration is a 2005 Paul Reed Smith Custom 24 electric guitar. This guitar has all the standard PRS Custom 24 features, plus thier famous tremolo, solid birds abolone inlay, small heel cap, and flame maple top. 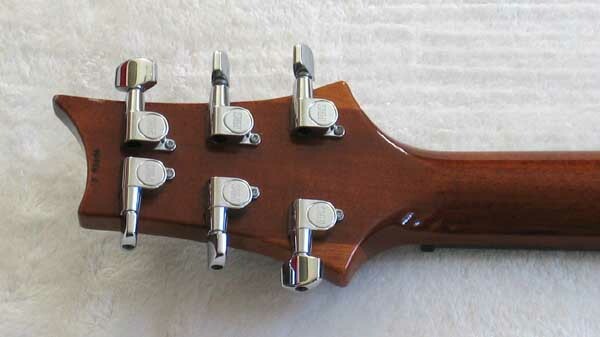 Since this guitar is a 2005 it also sports the 20th Anniversary Year truss rod cover. 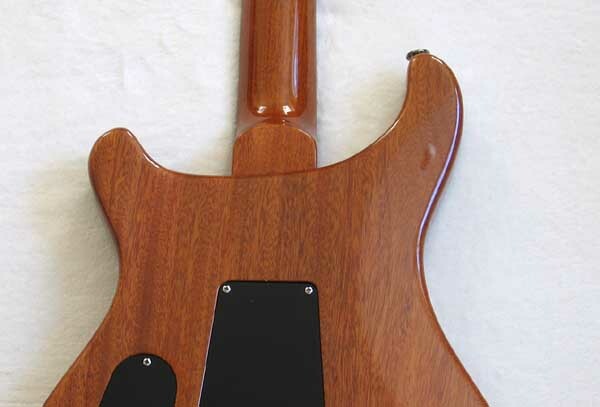 The guitar is completely stock, except it has upgraded rosewood pick-up rings, but the stock creme plastic originals are included as well. 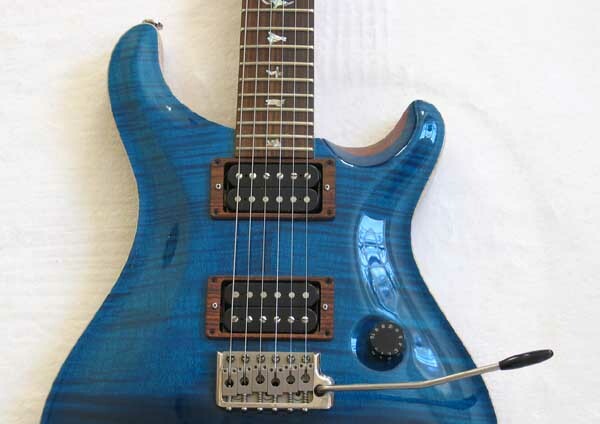 New, these guitars sell for over $3,000 without many of these features, so here is a great chance to pick up a PRS Custom 24 in excellent condition and save over $1,000!!!  1270 DPI high-resolution photos are here. 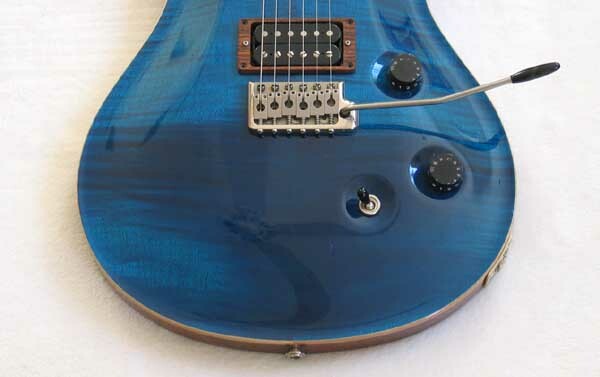 This guitar has beautiful tone, with amazing sustain and low action. This guitar would make a great instrument for local gigs, concerts, as well as studio recordings. * Scale Length 25 "
This guitar is in excellent condition with just a few minor dings from use The neck, back and sides are essentially mint. 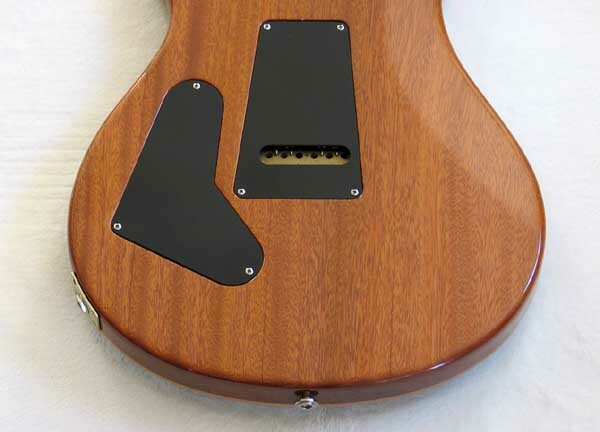 The top has a few small dings that are bare noticable. The guitar has a wonderful sound, with great sustain and and very low action.. Here are several sound files to give you an idea of what to expect. These 8 MP3 are direct into Logic through a through a of Doc Scary / Scary Drive overdrive, into a Presonus ADL 600 preamp into a Rosetta 200 A/D converter. The Intonation sound clip has no effects. The others are stock Logic presets. Insured USA FedEx Ground is $40, and 2nd. Day Air is $75. I do accept PayPal. Thanks for looking. Please ask questions before bidding. No returns -- sold as is. 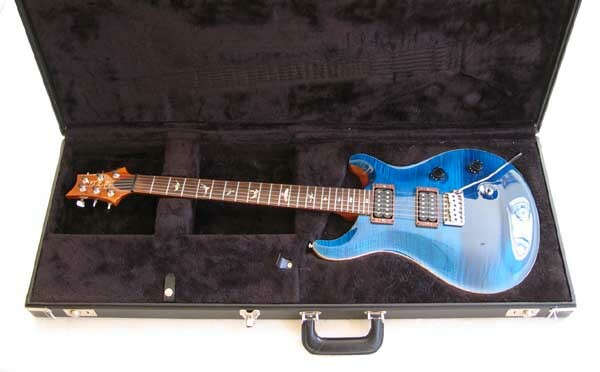 This auction is for one Paul Reed Smith Custom 24 electric guitar and case. The other accessories described above are included. PLEASE CHECK OUT my Current eBay Auctions, and also see some of my music gear that has Recently Sold on eBay.